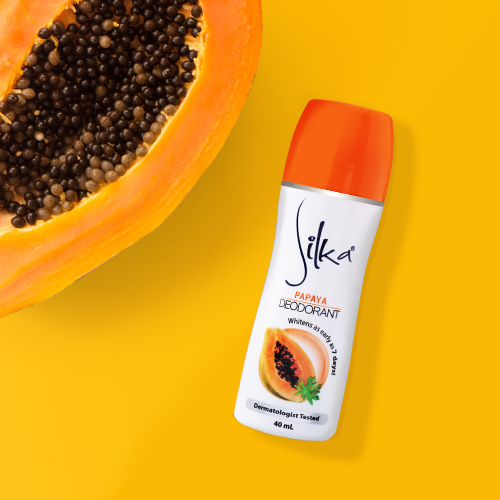 No need to rush in achieving beautiful and whiter underarms if you can have it in a natural way with the new Silka Papaya Deodorant! Infused with Papaya Enzyme, Giga White, and Vitamin B3, it'll help prevent darkening of the underarms as well as protect your armpits from odor and sweat. Plus, it comes in a lotion form that leaves a non-greasy feel when applied to the skin! Get a 40mL full sized from Sample Room for 20 points (SRP 31.50/25mL and 41.75/40mL)!